You were cleaning the attic of your grand-grandparents’ house when you discovered an old jewelry box with a couple of pieces of antique jewelry inside and it seems like they are made of precious jewelry metals. Did you just strike gold, metaphorically and literary speaking? Or you found just a couple of trinkets with more sentimental value than actual worth? To find the answer, read further. 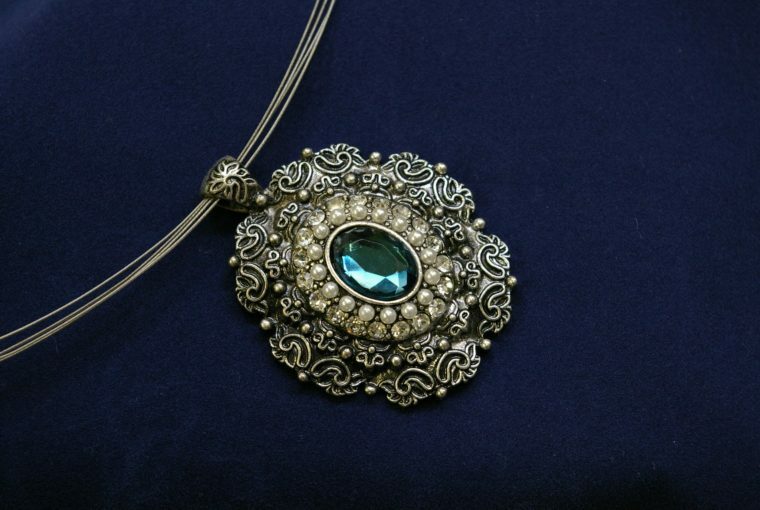 In this article, you will find out how to tell how much your antique jewelry is worth and how to sell it. How can you tell you have an actual valuable antique jewelry piece? Besides taking your antique jewelry piece to an appraisal, there are three methods of telling whether you have a valuable piece on your hands or not. Of course, you will still need an appraisal to discover its actual value. But firstly you should know if it’s worth taking it to the jewelry shop or not. Unless the jewelry you discovered is over 100 years old, you will notice some hallmarks on it. Rings and bracelets usually have them on the inside of the band, necklaces have them engraved on the clasp, while earrings feature hallmarks on the post. If the jewelry piece is over 100 years old, chances are that the hallmarks may have worn off. Of course, jewelry that doesn’t contain any precious metals or stones doesn’t bear hallmarks. If you don’t see any hallmark on your antique jewelry pieces, it is either very old and valuable or worthless. In this case, only a jewelry appraisal will let you know what you have on your hands. In case you have discovered antique jewelry that doesn’t have a hallmark, before taking it to an appraisal, check its weight. Silver and gold weight more than brass and pewter. For example, if you find a chain that looks gold, simply compare its weight to a gold chain you already have. Fake gold and silver feel much lighter than real ones. If you still can’t tell if you have found a genuine and valuable antique jewelry piece, inspect the prongs, if it has any. Jewelry that isn’t valuable, used stones glued into place. Antique jewelry, on the other hand, will always feature gemstones set in a prong or bezel setting. Now that you are sure you have discovered something of real value in the attic, it’s time to find out how much you can expect to gain from it. The actual value you will find out only after an appraisal but, to know what to expect, here are some of the factors that influence the jewelry piece’s worth. Just like with wine, an antique jewelry piece is worth more if it is older. But, of course, its condition plays a significant role as well. Discoloration or dull patches may decrease its value, as well as faulty prongs, clasp or posts. Even if you take your antique jewelry piece for a repair, you may still not receive as much as you would have if it were in perfect condition. Evidence of repairs also decreases the value. If you want to make sure you receive the maximum amount for your jewelry piece, take it to the jewelry shop for a professional cleaning. Don’t try to clean it at home because you may ruin it. You can’t usually put a price tag on history but, when it comes to antique jewelry, you can. This happens because certain styles are more popular on the market today and, as a result, certain history periods become more profitable when it comes to antique jewelry. Professional jewelers know that rarity of certain jewelry pieces. You can’t tell it yourself unless you do a lot of research. But if you take your antique jewelry piece to appraisal you will also gain insight into its rarity on the market. As you may have guessed, gemstones, especially diamonds, add a lot of value to your antique jewelry piece. The cut, carat weight, and clarity of the diamonds, for example, will significantly affect its value. We wish you best of luck with appraising your antique jewelry piece and discovering that you can finally afford that beach house you’ve been dreaming of. In the meantime, visit Ana Luisa online jewelry shop to view our unique designer jewelry collections.